DHS are approved installers of Vaillant boilers in Bristol and the surrounding area. This means our engineers have been trained by Vaillant in their Centres of Excellence, ensuring we can offer the best service possible when installing your new boiler. It also means we can offer extended guarantees of up to 7 years on Vaillant products, providing you with extra peace of mind. If you are interested in having a Vaillant boiler installed by a Gas Safe registered engineer, call DHS now on 0117 924 7200 or fill out our contact form for a swift response. Vaillant have been in business for over 140 years and are established market leaders in developing and manufacturing innovative heating and hot water systems. 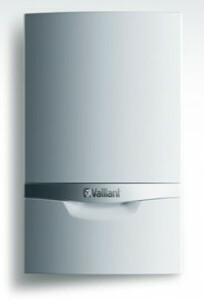 Their high tech products offer cutting edge technology as part of Vaillant’s promise to always ‘think ahead’. Their boilers achieve extremely high standards of quality, performance, reliability and efficiency. 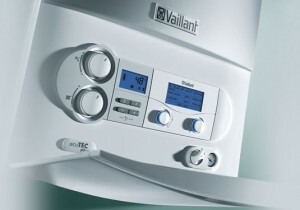 Vaillant produce some of the most economical and environmentally-friendly heating systems on the market. As such they are always popular with conscientious home-owners looking to cut their bills and their carbon footprints. With a wide range of award-winning combination, system and open vent boilers in various sizes and power outputs there is bound to be a Vaillant boiler to suit you. For detailed advice about which product is best for your needs, please feel free to get in touch and we will be happy to advise you. Every plumbing and heating engineer who works for DHS is Gas Safe registered and has the appropriate training and qualifications to offer first rate boiler installations. We provide same-day quotations (8.30am-5.30pm Mon-Fri) and offer installation within 48 hours for high priority cases (dependent on engineer and product availability). To find out more, ask for a quote or arrange installation of a new Vaillant boiler in Bristol or the surrounding area, please feel free to get in touch. We also offer servicing and repairs on existing boilers and our engineers are familiar with all of the most common manufacturers and models.